Oral cancer screening is performed painlessly utilizing our VELSCOPE Vx technology, which allows us to identify, evaluate and monitor suspicious areas at their earliest states, capturing more than 25% of oral cancer patients who have no lifestyle factors. Cavity (caries) detection is determined early with our revolutionary SOPROLIFE Light Induced Fluorescence Evaluator technology. The iTERO Intraoral Scanner enables our office to take a 3D digital scan of the patient’s teeth and bite, make adjustment in real time and transmit the file wirelessly for processing. This provides you with faster treatment results. In place of drilling we often use a fine powder carried by air that gently removes decay and fills teeth without vibration or anesthesia called Air Abrasion. When anesthesia is required, the "Wand" is a painless, computerized anesthetic delivery system is used. Our Intra-Oral Cameras and Digital X-Rays allow us to assist in the diagnosis of your overall dental health while providing the least amount of radiation possible. Utilizing the latest techniques in cosmetic dentistry, we can brighten your smile several shades in just one and a half hours with the Zoom!® system and enhance the shape, color, and position of your teeth with porcelain veneers, crowns and bridges using our Diode Laser. We can also enhance the strength of your teeth using our advanced technology CEREC 3D® system while improving the overall appearance of your smile with tooth-colored fillings, inlays, and onlays. As an Invisalign® provider, discover clear brace retainers that align your teeth painlessly in months versus years. Adults love this technology as it reduces traditional adjusting appointments, wearing bands, and their invisibility is an added plus. To aid in your comfort, we provide supportive neck cushions, blankets, nitrous oxide, bluetooth sound reducing headphones, lip moisturizers, and warm facial towels to keep you comfortable throughout your appointment. We are confident you will enjoy your appointments with our friendly team and amenities that will make you look forward to each visit! The majority of hard and soft tissue procedures in our office are done with virtually no anesthesia and soft tissue procedures are done with virtually no bleeding. Blood-free and anesthesia-free procedures represent a major leap forward in dentistry, as we are able to execute multi-quadrant dentistry, fillings on the fly and soft tissue procedures in a single appointment. What does that mean for you, our patients? You are now able to receive the care you need in a fraction of the time. When patients have anesthesia they typically leave the office with that numb feeling still prevalent. With Solea, you are able to go right out to lunch or back to work without that numb sensation following your appointment. Solea is truly changing what it means to go to the dentist. For more information on Solea, please visit iloveSolea.com. Our dentist and team at Edina 5-0 Dental use the state-of-the-art Solea® laser to perform many of your dental treatments. By using the Solea laser, we can provide you with more precise and effective treatments as well as enhanced comfort during your appointment. 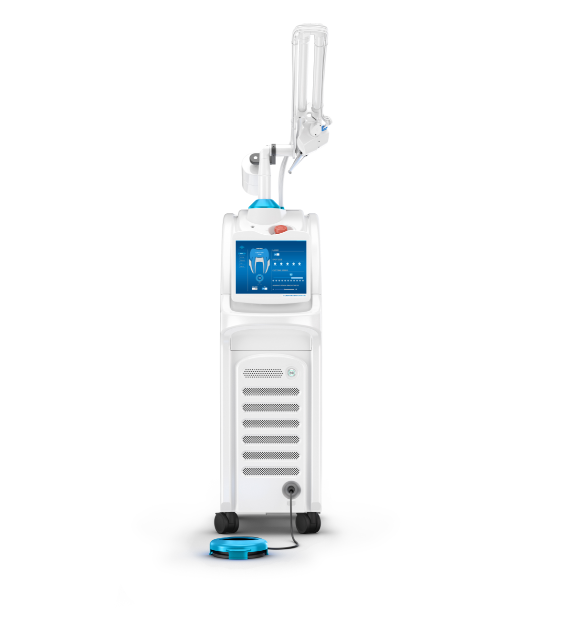 To learn more about the Solea laser in Edina, MN, and to schedule a consultation with Dr. Drew Spencer, please contact our office today at (952) 922-8111.